Discover an unforgettable land in a fashion that few ever experience...by private boat. After exploring Dubrovnik, one of the world’s most treasured cities, we’ll set sail up the Dalmatian Coast with its clear turquoise water and rugged coastline. Our traditional wooden boat—-the 10-cabin Dalmatinka, will be our home on this exclusive journey through the passages of time. We’ll travel from Dubrovnik to Ston, Trstenik to Korčula. 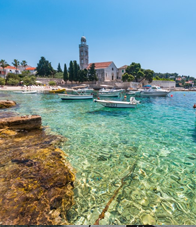 We’ll explore Vis, with its 500 varieties of wild herbs, and visit Hvar, a former Venetian fortress island with limestone porticos and a stunning yacht-filled harbor. Then on to Brač and Split and the breathtaking Palace of Diocletian. 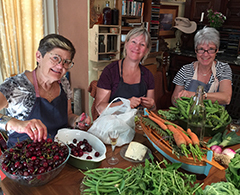 When not sailing or strolling ancient villages, we’ll visit centuries-old vineyards and discover new wines, eat seafood just pulled from the water and sample traditional dishes and heirloom produce. Our tour is limited to 16 people. Main Deck: One Room Left! All cabins have ensuite baths. 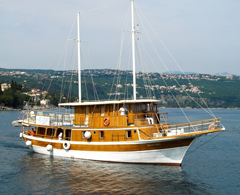 Included in the Croatia food and wine tour are 9 nights accommodations: 2 nights at the Hotel Lapad and 7 nights onboard the Dalmatinka, all transportation after arriving to the hotel in Dubrovnik, all group activities, tours, tastings, cooking classes, wine tastings and meals listed on the itinerary, including daily breakfast and lunch. A $1000 deposit is required to secure your place. Since the number of cabins is limited and sizes vary, early registration is advised. Click here for more information on the Dalmatinka with photos. Arrive to Dubrovnik and the 4-star Hotel Lapad, located on the Gruz Harbor. We’ll meet in the late afternoon for drinks and introductions before an after-hours Old Town walking tour. * Discover why this amazing UNESCO World Heritage site, with its marble streets and baroque buildings, is considered “The Pearl of the Adriatic.” Dinner at Dalmatino. Tour Mount Srdj with its fortress and Balkan War museum. 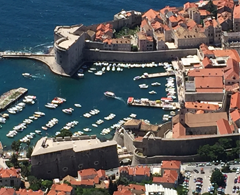 Learn what it was like during the Siege of Dubrovnik. Return to Old Town for a wine pairing lunch where you'll discover new, exciting flavors with every course. Afterwards, explore the ancient town on your own. Walk the city walls, enjoy the view from a cliffside bar, or just wander the streets and relish Dubrovnik’s unique beauty. Set sail on the Dalmatinka. We'll travel up the Elaphite Islands, arriving to the Peljesac Peninsula and the town of Slano. 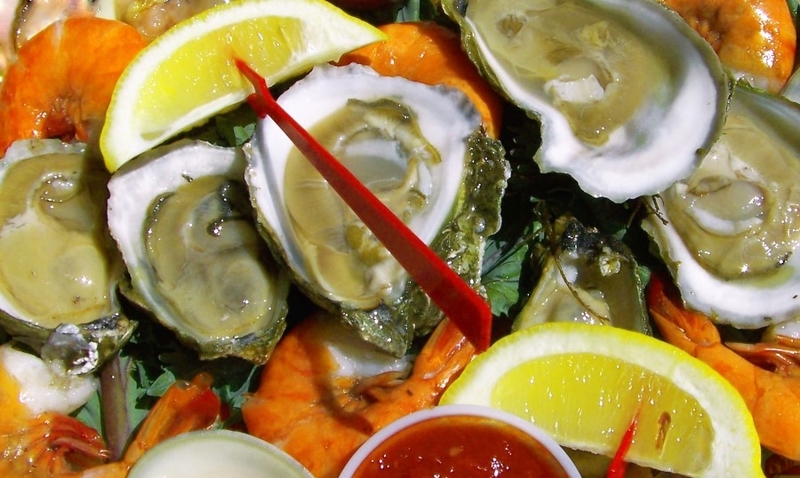 Visit an oyster farm, then head to the owner's private island for a late lunch of freshly harvested oysters and mussels. Discover the world’s second longest defensive wall in the town of Ston. Free evening. Head to the village of Prizdrina to experience local life with Mario at his family's 600 year old vineyard. 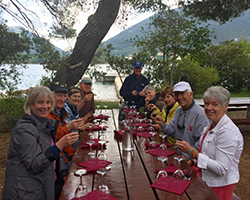 We'll have a traditional Peka cooking class and taste their wines as well as visit neighbor Mike Grgich's vineyard. 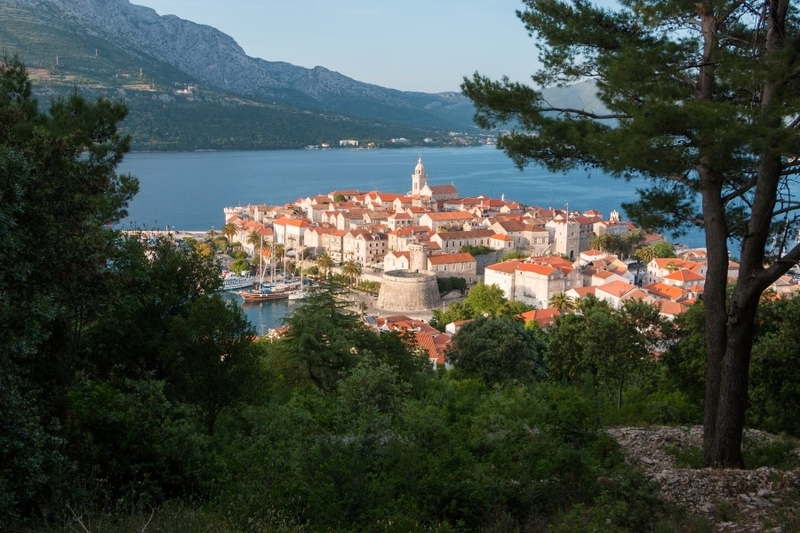 Then we’re off to Korčula to discover the birthplace of Marco Polo and a charming town of adorned palaces and cobbled streets. Free evening. 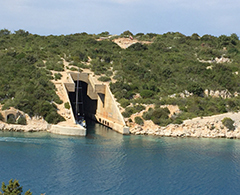 Discover Vis, a former military island off limits to tourists until recently. 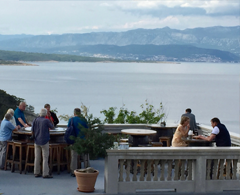 Lunch on board as we travel to Croatia's outermost island, known for its wines since the 4th century. Visit the Roman ruins of Issa and explore hidden tunnels and old forts. Afternoon wine tasting in the hills. Free evening to stroll the promenade and enjoy the views. Travel to the tiny fishing village of Komiza, on the other side of Vis, where we'll dock for the night. 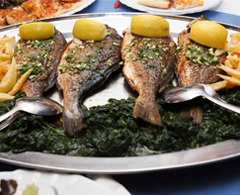 Tour the town famous for its traditional boats before a grilled fish lunch on the scenic Mala Travna bay. Free evening. Explore Hvar, known for its endless sun and jet-set crowd. Lunch in the nearly abandoned village of Malo Grablje with its sole resident. Enjoy an afternoon of wine tasting where we'll also tour UNESCO heritage laverder fields and farmland. Overnight in Stari Grad, one of the oldest towns in Europe. 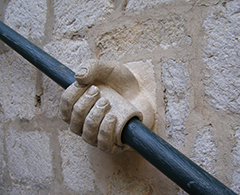 Free morning before sailing to Brač, known for its white stones--the same ones used to build the White House. Lunch onboard the Dalmatinka as we head toward the mainland once again. Visit a mountaintop village with its historical architecture of slated stone roofs. Sample the island's famous olive oil and schapps. Free evening. 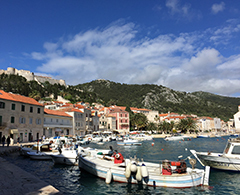 We'll arrive to the bustling harbor of Split where you'll have a few hours to explore. Then we're off to the nearby town of Trogir for a fun-filled afternoon of cooking in a 13th century palazzo. Tour the town and its market, while tasting local specialties, before preparing a multi-coursed farewell dinner. After breakfast and check-out, we can help you arrange your transportation to either a hotel in Split or the airport. *As a group, we'll visit old town Dubrovnik late in the day to avoid the large number of tourists that de-bark from the cruise ships. 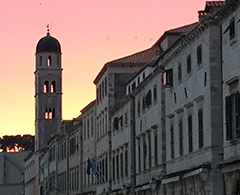 If you'd like to have time to visit the museums and get the most from your journey, you may consider arriving a day or two before our Croatia tour begins. 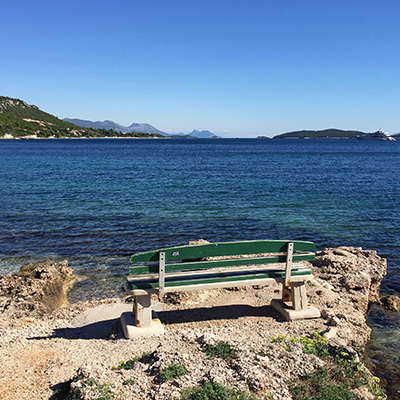 **Our tour on Vis is more strenuous than other days and requires a little uphill hiking and walking on dirt trails as well as climbing a few steps on a ladder. ***Since we will not have much time in Split as a group, I would highly suggest spending at least one additional night there in a hotel. 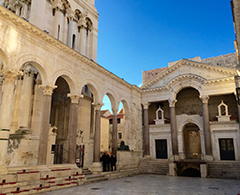 You don't want to miss Diocletian's Palace. ****Itinerary subject to change depending on local festivals and concerts.